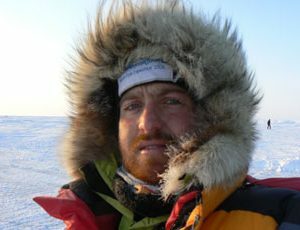 Keynote speaker Jim McNeill has over 30 years of experience polar travelling and planning expeditions. He has done this mostly on skis in the middle of nowhere. Jim is a well-known explorer in his field, and he has helped multiple tv and film crews on safety and guiding in extreme conditions. 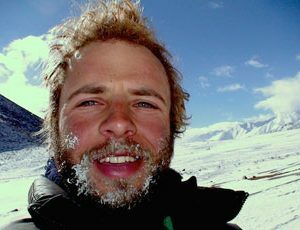 Jim McNeill has a background in safety, environmental science and fire service prior to becoming a professional explorer in 2006. 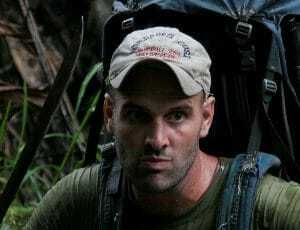 He also has a passion for leadership and teamwork, as he discovered the importance of these disciplines through travelling to extraordinary destinations with groups of people – when you’re freezing in the middle of nowhere leadership, communication and teamwork becomes your biggest weapon for survival. In 2001, Jim founded the Ice Warrior Project, which is an organization aimed to train “ordinary” people to become polar explorers and travel to and through remarkable places. The ultimate goal behind the project is to make people see the environmental changes that are happening and have them speak openly about their unique experiences. Jim dreams of developing people and discovering change. He simply wants to foster a better understanding of the world we live in. With a passion for travelling and exploring unique parts of this world, Jim is an advocate for environmental change. In 2006, he was on ITV News to report the reality and seriousness of climate change directly from Arctic Ocean to an international audience. When Jim is not polar exploring, supplying gear to tv crews or planning out safety routes for the next Hollywood movie, he is a fantastic and engaging keynote speaker. He strives to get the best out of everyone, whether it’s in the Arctic or in an organization. Soon, Jim plans to attempt to reach the very centre of the Arctic Ocean – the Northern Pole of Inaccessibility. If he and his team succeed, they will be the very first people to ever do so. For the last 35 years, Jim has helped and led teams and leaders in the middle of the Arctic but also in emergency services and the military. He has helped in life-or-death situations in the literary and metaphorical sense. Jim has a passion for getting the best out of everyone – individually or in teams. In the Ice Warrior Project, Jim gives his best to teach people to become good polar explorers who can accomplish even some of the most challenging expeditions. 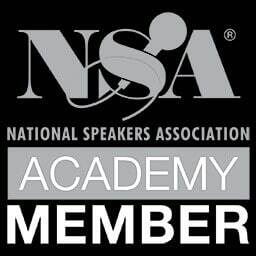 A keynote with Jim is sure to inspire you. Jim’s only fear is to waste time and opportunities, which has made him one of the most famous and respected explorers and business men. He will take his audience through all his adventures and challenges as a modern-day explorer and give you the feeling of wanting to do it all. 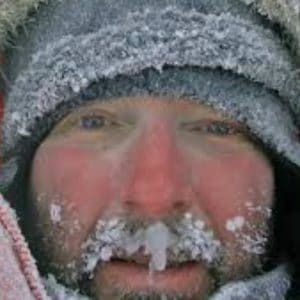 Jim has traveled through some of the coldest places with little food, little sleep and zero energy. How do you motivate your team to keep going in the most extreme conditions? Jim will share his secrets to making any team work in an office or in the polar regions. The Ice Warrior Project plays a crucial role in delivering real evidence to the climate change that is threatening our world. In 1980, Jim started working with measuring the environmental impact of agricultural practices, and as a polar explorer he knows the truth behind climate change. Jim will leave his audience with a powerful message and motivation to change. Jim advises you on how to get the most from your sponsorship pound as well as how to engage your staff, clients and associates. He also speaks from his unique perspective on HR market; what makes a perfect team, leadership under pressure and recruitment.